Thanks, Anastasia! Do you know which item in your kitchen is the #1 breeding ground for all sorts of sickness causing bacteria? It’s your kitchen sponge. And every time you use that sponge to wipe down your kitchen counters, table, or appliances, you’re spreading harmful bacteria. Ideally, you should dispose of a sponge or kitchen cloth after each use, but that can get very costly and few people do so. How often do you replace your sponge? Not as often as you should, I’m willing to bet. And do you ever disinfect it? Dish soap alone isn’t going to do the trick. Place your sponge in the dishwasher every time you run a cycle. Several times a week, wet the sponge and microwave it for 2 minutes. 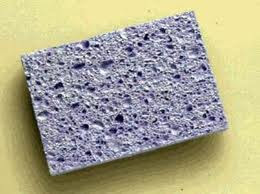 Replace your sponge every two weeks. In a small bowl whisk together olive oil, wine vinegar, and lime juice. Add watermelon, cucumber, and mixed greens to the bowl and toss. Divide into four portions. Top each with crumbled goat cheese and sprinkle on almonds. MATERIALS: wooden frame, assorted shells, hot glue gun and glue sticks. Glue shells in a grouping at one corner of frame or all around frame. Thanks to all who stopped by this week at Killer Crafts & Crafty Killers. We hope you'll come back often and also tell your friends about us. We have lots of exciting posts and guests planned for the months ahead. 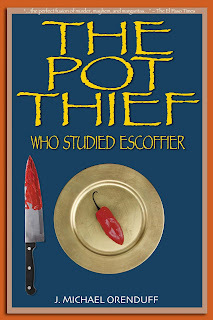 I’d also like to thank Mike Orenduff for being our Book Club Friday guest and offering a copy of The Pot Thief Who Studied Ptolemy to one of our readers who posted a comment this week. The winner this week is Elizabeth. Elizabeth, please email your mailing address to me at anastasiapollack@gmail.com. I’ll forward the information to Mike, and he’ll mail the book to you. Award-winning mystery author Mike Orenduff grew up in a house so close to the Rio Grande he could Frisbee a tortilla into Mexico from his back yard, a practice frowned upon by his mother. Like his protagonist Hubert Schuze in his Pot Thief mystery series, Mike studied anthropology. He holds a doctorate in mathematical logic and he published a number of works with such scintillating titles as A Partially Truth-Functional Modal Calculus and Are Modal Contexts Referentially Opaque? 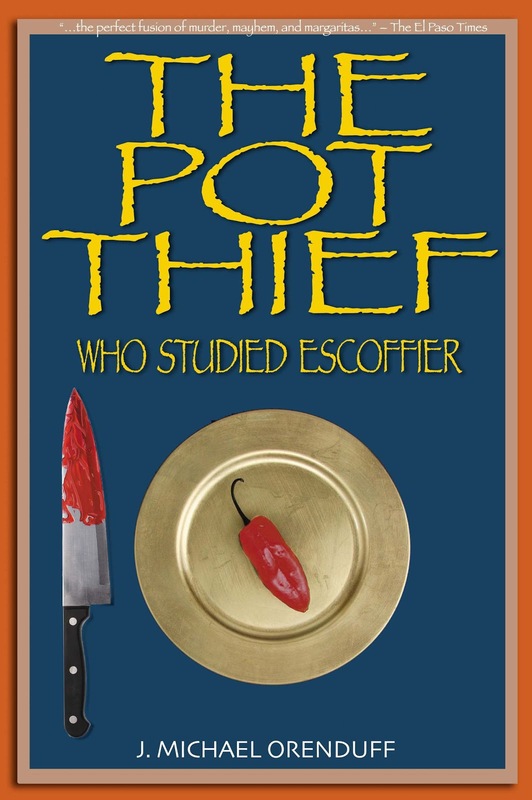 Mike’s latest Pot Thief mystery is The Pot Thief Who Studied Escoffier. 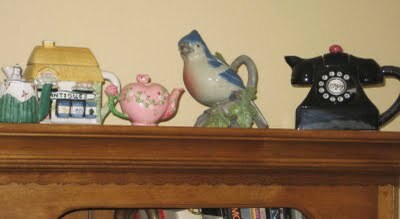 Read more about Mike and his Pot Thief books at his website. Like many authors, I became a writer after years of being an avid reader. 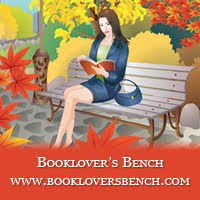 I read all kinds of books – adventure, historical, travel, suspense, humor, and fantasy. 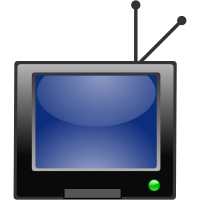 But my favorite was murder mysteries. So when I retired and decided to try my hand at writing, I chose the mystery genre. After all those years of reading, you would think I knew why people read, but I didn’t. I just knew I loved to read, and many of my friends also loved to read. I never asked myself why. I had been reading mysteries for over fifty years and I taught logic for forty years, so I figured I had the experience and skill to construct great plots. But when I gave my first stories to friends and family to read, they didn’t like them. It was only then that I asked myself why I read. Why anyone reads. Thinking back on the books I loved the most, I realized they had one thing in common – interesting characters. The adventure books I liked the most were not those that had the wildest adventures; they were the ones with the most interesting adventurer. The travel books I liked the best were not those that dealt with the most exotic locations but with interesting travelers. And my favorite mysteries were those with the most engaging people. And it wasn’t always the protagonist who hooked me on a book. I liked Doyle because I found Dr. Watson such an engaging fellow, not because of Holmes’ stilted deductions. I didn’t like Nero Wolf as a person, but I loved Archie Goodwin, and that was enough to make me read all of Rex Stout’s books. We read because we like to meet new and interesting people. Even better, we meet them without any of the anxiety and hassle of meeting real people. We don’t have to wear one of those silly “Hi My Name Is” stickers on our shirt. We don’t have to hold up our end of the conversation. We can escape a boor or a dullard by just closing the book and without fear of offending anyone. And we can do all of this in the comfort of our home while wearing pajamas and eating nachos. 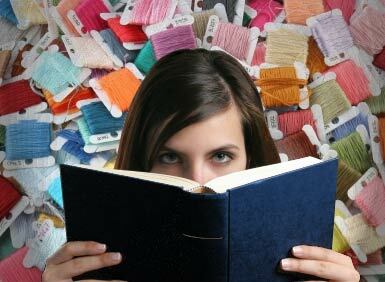 I do not intend to imply that all readers are introverts. But even the most gregarious among us can tire of the social scene. Just ask yourself if you’ve ever been at a party and wished you were at home with a good book. The Booklist starred review of Assault with a Deadly Glue Gun – written by the host of this blog – starts with these words: “"Oddball characters, uproariously funny situations, and a heroine with a strong sense of irony.” Not plot. Not mystery. Oddball characters and a heroine with a strong sense of irony. That is why we read. 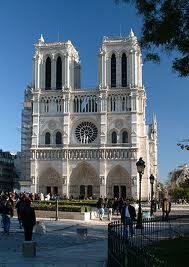 In 2007, I took a solo trip to Paris, France. I was apprehensive about going alone to a foreign country where I barely knew the language. But I did my homework before I left, discovered some very valuable tips, and had a wonderful time. Here are five things i did to make sure I had a safe trip. 1. Research, Research, Research-Before I left for Paris, I researched the city and its culture and customs. For example, did you know it’s considered rude to enter a shop in Paris and not greet the shopkeeper or to stare at people on the metro? I didn’t. I also researched the area around my hotel for the closest metro stations, restaurants, and ATMs. Doing your research before you leave will go a long way in helping your trip go smoothly. 2. Learn some French-It’s also a good idea to learn some basic French before you go. 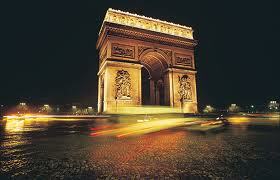 Fodor’s has a French language page with 150 phrases you can use on your trip. Even if you mangle the French language, the French will appreciate that you’re trying. 4. Make Copies Of Important Documents-Leave your passport in your room. Also, make photocopies of all your important documents and credit cards to keep on hand in case they get lost or stolen. 5. Know where to go for help-You are subject to the laws of the country you’re visiting while you are there. If you do your homework on the culture and customs before you arrive, you shouldn’t have any problems. But if by chance you encounter legal trouble, seeking help from your country’s embassy or consulate would be your best bet. Just make sure that you’re aware of their hours and make an appointment. Check out the following books for more info and have a wonderful trip! 1. Never go grocery shopping when you’re hungry. You’ll wind up buying all sorts of junk food your body and your wallet can’t afford. 2. Shop in bulk at warehouse stores. 3. Never buy the first version of any new technology. Version 2.0 will be better and cheaper. 4. Never buy the extended warranty. It’s not cost effective, just a way for the store to make more money off you. 5. If you don’t need it, don’t buy it. 6. Never believe the salesman. Get everything in writing. 7. Before purchasing items on line, search for discount coupons and free shipping codes. 8. Always keep your receipts. 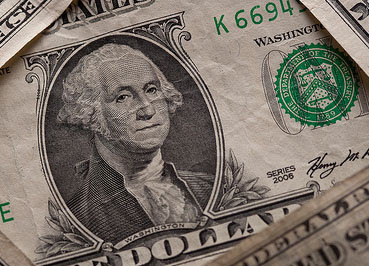 Many stores will no longer accept returns or exchanges without one. 9. Don’t be bullied by a high pressure salesman. Walk away. Fast. 10. If it sounds like it’s too good a deal to be true, it probably is. Let “caveat emptor” (buyer beware) be your slogan. Whisk together sour cream, mayonnaise, lemon juice, dill, and onion. Cover and chill 1 hr. Set aside 4 tablespoons of dressing. Combine tuna, celery, apple, cranberries, and lettuce with remaining dressing. In a separate bowl toss the 4 tablespoons of dressing with the lettuce, croutons, and cheese. Divide the salad into four portions and top each with 1/4 of the tuna mixture. MATERIALS: small glass jars with screw-on lids (available at craft stores,) hot glue gun and glue sticks, decorative shells, bath crystals or beads. 1. Glue a couple of shells to the jar lid. 2. Fill the jar with bath crystals or beads. MATERIALS: 3 cups Epsom salts, 2 cups sea salt, 1/2 ounce essential oil, 1 cup baking soda (optional -- baking soda will soften the skin and condition the water), wire whisk, air tight glass containers (such as Mason jars). 1. Whisk salts together well in a glass or metal bowl. 2. Add essential oil and continue to whisk together. 3. Whisk in baking soda, if desired. 4. Spoon into jars. Seal tightly. I’m so happy to be at Killer Crafts & Crafty Killers today, and especially glad to be sharing a little about Pleating for Mercy. It was released about 2 weeks ago, hit the Barnes & Noble mass market mystery list at #14, and hit Bookscan’s list at #19! I couldn’t be more thrilled!! This book is for anybody who loves cozy mysteries, dressmaking, sewing, and/or anything crafty to read. As I was thinking about visiting here, I got to thinking about why I write mysteries. All I could come up with is that they are close to my heart. Okay, truthfully, books of any kind are close to my heart, but mysteries, in particular. The mystery can be large or small. It can be the central focus of the story, or play a supporting role. It really doesn’t matter to me the scope of the mystery elements, as long as it’s there in one way, shape, or form. My love of mysteries started, like most young girls of a certain age--ehem, we don’t need to talk about age, now, do we?--with Nancy Drew. From there I graduated straight to Agatha Christie. I have a distinct memory of going with my mom to our town’s library so she could check out the last Hercule Poirot novel, Curtain. She was crushed that it was to be Poirot’s last, and her love of these book intrigued me enough to start reading them. I spent almost all of my high school lunches in one classroom or another reading. Now, I should say that I’m a light-weight when it comes to these things. Horror movies and books are not for me. I threw Silence of the Lambs across the room once or twice while reading it, and I cover my eyes during certain parts of Dexter (though he and the show are morbidly fascinating and I LOVE it). But I love the deduction. So, of course, I when my passion for writing grew until it couldn’t be denied, it was no surprise that it manifested itself in the form of mysteries. I began with the Lola Cruz Mystery series, published initially with St. Martin’s Minotaur, and moving soon to a new publisher with the next 3 books in the series. Then I wrote 2 romantic suspense, which, of course, have strong mystery elements in them. They’re based on Mexican legends, and these will be coming out sometime next year. Finally, my cozies, A Magical Dressmaking Mystery series with NAL, have brought me full circle to the kind of mysteries I love the most. They are small town, feel good whodunits. They are like comfort food. They just make me want to curl up in front of a fire and escape into the town of Bliss (if only we weren’t on our 40 something day of 100+ degree weather). Mystery, mystery, mystery. The characters. The communities. The crime. The puzzle. The deductions. The justice. All of it makes for such a satisfying read. I’m particularly lucky to now be part of a dynamic publishing group. 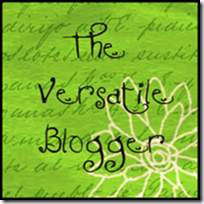 I’m the marketing director for the new boutique publisher, Entangled Publishing. 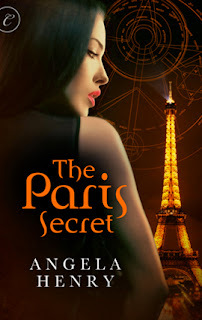 Here, I get to help market so many books, some of them romantic suspense or mystery, many of them paranormal, urban fantasy, and sci-fi, most of them with some strands of mystery and romance elements in them. There’s no better job, and it has been so exciting to be part of something like this from the get-go. 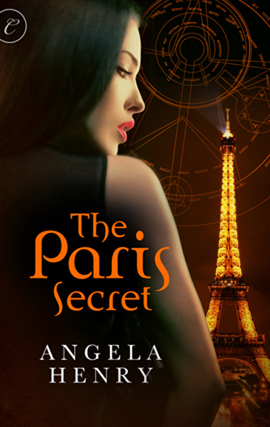 I’d like to know what everyone loves most about mysteries, and how heavy the mystery element needs to be in books you read. 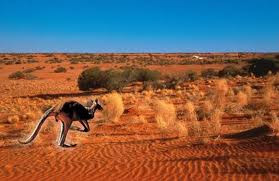 Australians have dubbed their remarkable “Down Under” continent the Land of Oz, and in many ways, traveling through the diverse and surreal landscapes does feel like an Over-the-Rainbow experience. I found the Northern Territory, also known as “The Top End” or “Never Never Land” to be the weirdest and most wonderful part of the country. It occupies twenty percent of the continent but contains only one percent of the population. 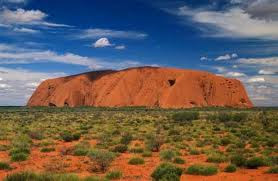 Its barren center, famed for the mystical Uluru (Ayers Rock), is a vast desert of red rocks and red soil. 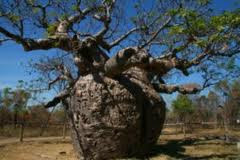 The Outback is studded with eerie canyons, incongruous valleys of palms, gnarled coolabahs, and the fantastical boab trees that look as if God had planted them upside-down. By contrast, the coastal northeast is a wetland, a National Heritage Site that is home to numerous Aboriginal tribes. Some 750 species of birds flit about through the tropical rain forest – parrots, rosellas, lorikeets, and cockatoos – and the forest teems with creatures that seem to belong to a bygone age. Indigenous tribes have inhabited this place for over 50,000 years and the Territory offers the best opportunity to experience a bit of the native culture. Aboriginal customs and beliefs, although not written until recently, have been passed down orally from generation to generation. In their belief system, the past co-exists with the present and the future, and they continue to communicate with the ancestors who created the land and receive inspiration from their ancient wisdom. Much of this inspiration is reflected in the totemic art rendered by local artists. 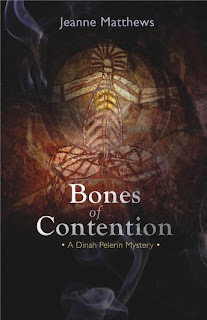 I became so fascinated by the Territory’s unearthly beauties, the colorful Aussie lingo called Strine, and the ambience of Aboriginal mythology that I set my first novel, Bones of Contention, there. I’d go back in a heartbeat. Thanks, Anastasia. Melatonin is a hormone that makes you tired. Research has shown that if you dim your lights between dusk and bedtime, your body will produce melatonin up to an hour and a half sooner than if you keep your lights bright. This could reduce your risk of insomnia. And as an added bonus, it may also reduce your risk of insulin resistance and type 2 diabetes. 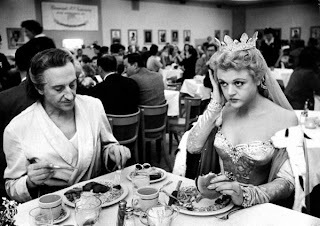 When the film industry first set up shop in Hollywood, the moguls liked to lunch on dishes their mothers used to make. Louis B. Mayer gave the chef at his studio commissary his mother's recipe for chicken soup. Adolph Zukor of Paramount Pictures might well have been responsible for what Basil Rathbone is eating here between takes of The Court Jester (1955) while Angela Lansbury nibbles her hamburger. Knead with hands until well blended. Place in loaf pan, mounding the top. Bake 1 hour and 10 minutes. Let stand 15 minutes more. Slice and serve to passing film stars, if any. Or consume while watching The Court Jester, a really funny Danny Kaye costume flick. Thanks to all who stopped by this week at Killer Crafts & Crafty Killers. We hope you'll come back often and also tell your friends about us. We have lots of exciting posts and guests planned for the months ahead. 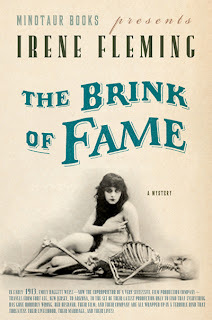 I’d also like to thank Kate Gallison/Irene Fleming for being our Book Club Friday guest and offering a copy of The Brink of Fame to one of our readers who posted a comment this week. The winner this week is Cathy Shouse. Cathy, please email your mailing address to me at anastasiapollack@gmail.com. I’ll forward the information to Kate, and she’ll mail the book to you. Kate Gallison has been at various times a store clerk, a bill collector, a computer programmer, a technical writer and a museum docent. As Kate Gallison, her writing credits include three private eye novels and five traditional mysteries. 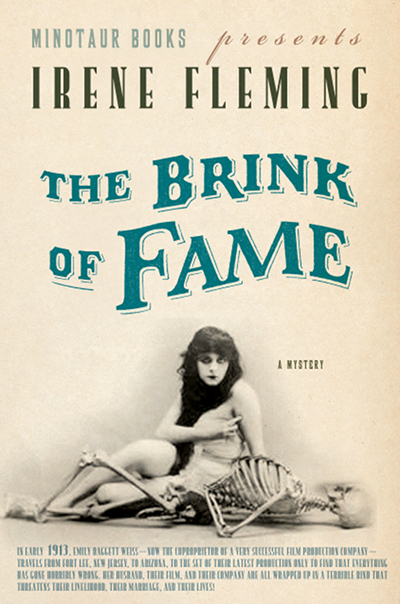 Under the name of Irene Fleming, she writes a series about silent movie production in the early twentieth century. THE BRINK OF FAME will be released this coming Tuesday. Visit Kate/Irene at her website to learn more about her and her books. First of all, thanks to Anastasia for offering me a platform on Killer Crafts. It's been my experience throughout a long career of writing that the stuff I invent is more attractive to readers than the truth I tell them. Still I try to be truthful. I think of myself, most of us think of ourselves, as Artistes with a capital A. We may be successful in the eyes of the crass material world, or we may be failures, but if we respect ourselves, we adhere to our visions and we try to tell the truth. In order to do this effectively we make things up. As for me, I'm a middle-class half-Canadian, brought up never to make a scene or talk about my private life in public. As an Artiste, however, I'm free to blat about anything I like, as long as I cast it in the form of fiction. To further protect my privacy I started writing under the name of Irene Fleming. Irene's first book was all about early film making. Called The Edge of Ruin, it was packed solidly with historical research, not only about film making in New Jersey and Thomas Edison's Motion Picture Trust, but also about the wild labor movement of the time, left-wing politics, the smell of the Hudson River. What did I know about any of this stuff, aside from what I read? Nothing. The critics loved it. Publishers Weekly loved it. At the end of The Edge of Ruin it became clear that the marriage of the plucky protagonist and her neglectful husband was on shaky ground. In the next book Emily and Adam were going to have to break up. Here was a chance to go back and visit a place in my head that I had kept sealed for thirty years, a really ugly place; here was a chance, perhaps, to wring a few laughs out of it. 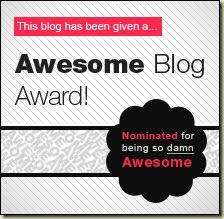 I wrote the book, calling it The Brink of Fame. The marriage fails. Emily and Adam break up. In the course of dealing with this she has to solve a crime, but, hey, I'm a crime writer; my publisher and my readers are expecting a crime novel. I threw a crime into the stew and tried to keep it relevant. Publishers Weekly hated it. Harriet Klausner hated it, for God's sake. The story of the plucky heroine abandoned by her husband, betrayed, humiliated, impoverished, her professional competence shaken, and how she works her way back from that, was not what they were looking for. They wanted, I guess, to go on the set and ogle the Hollywood movie stars. Or maybe they wanted a tighter murder mystery. Not me. I love that little book. (You might love it, too.) When the first copy came in the mail last week I unwrapped it and held it the way you unwrap your newborn infant. I experienced pangs of guilt for paying the smallest attention to the slighting remarks of Publishers Weekly. I said to myself, I have to have a party for this sweet little book. It will take place at the Lambertville Free Public Library next Tuesday, August 16, which is the official release date, between 7 and 9 PM. Drop by if you're in the neighborhood. There will be wine and cheese. Recognize the person in the photo above? That’s Jennifer Lopez, recently named the world’s most beautiful woman. And she’s wearing her hair in a bun. The bun is a very versatile hairstyle and one that’s great for when you don’t want to have to think about how your hair is holding up in summer’s humidity or when you need to wash your hair but don’t have time. Buns go everywhere from morning to late at night. You can wear a bun to exercise class, to the opera, and everywhere in-between. Pretty much anything goes with a bun. 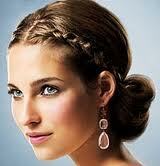 It can be sleek and severe or loose and messy. Worn on the side, at the nape of the neck, or high on the head as seen in the photos above. 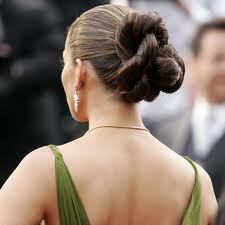 There’s really only one style to avoid when creating a bun -- the Princess Leia bun. Thanks, Anastasia. We grow so used to seeing things in our homes that we actually stop noticing them. So my first suggestion is to relocate various items, either within a room or by moving them from room to room. Try switching around the artwork and photos throughout your house. Instead of hanging all your artwork and photographs, layer some of them by propping them on a chest or table placed up against a wall, overlapping the frames slightly. Next, think of your bookcases as more than just shelves for books, and think of those books as pieces of art to be displayed. Organize books by color. Stack some instead of shelving them all upright, and place collectibles on top of and between the books. Don’t forget the top of the bookcase. Even a tall one can be used as a display area. Paint the back wall of the bookcase in a contrasting color or wallpaper it. Lamps will look brand new with the purchase of new lampshades. Buy inexpensive ones and add your own decorative touch by gluing gimp or beading around the perimeter. Sofa or chair looking worn? Drape a fabric shawl over the back of it and add a few inexpensive throw pillows. Throw pillows looking a bit worn or dated? Make inexpensive slipcovers for them by purchasing remnants at the fabric store. Make several for each pillow and switch them up for the changing seasons or for holidays. Love the look of fresh flowers but can’t afford to fill your house with them weekly? Collect fallen branches from trees. Spray paint them white or in colors that complement your room. Fill a glass vase with them. Or fill a bowl with pine cones or sea shells and use as a table centerpiece. That’s right, Anastasia. The trick to this dish is buying a pre-cooked rotisserie chicken from the supermarket. 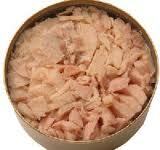 Most supermarkets sell these at such reasonable prices that it hardly pays to buy a chicken and cook it yourself. Whisk together yogurt, mayonnaise, lime juice, and dill. Fold in chicken, peaches, grapes and pistachios. Cover and chill for at least 1 hr. Divide into 4 portions and serve over lettuce leaves. BREAKING NEWS: This evening at 7pm eastern time, Lois Winston, the author who writes about my life, will be part of an author mystery panel on Giovanni Gelati's GZONE blogspot radio show. The panel will also include fellow Midnight Ink authors Beth Groundwater, Alice Loweecey, and Sebastian Stuart. You can listen to the show live or go to the website and listen to the archived broadcast later. 1. Wrap the lace around the wreath, overlapping and pulling the lace taught as you wrap. Wrap until the wreath is covered. Trim excess lace and glue end at back. 2. Thread ribbon through hanging ring. Fold ribbon in half and glue cut edges together. Glue ends of ribbon to back of wreath, securing with several sequin pins. 3. Hot glue shells to front of wreath over lace, varying the direction and size of shells.